The Wellcome Collection’s current exhibition ‘Can Graphic Design Save Your Life?’ explores the relationship between graphic design and health. The Wellcome Collection is a free museum and library exploring health, life and our place in the world on Euston Road in London. As well as exhibitions and events there is the Wellcome Library which provides insight and information to anyone seeking to understand medicine and its role in society, past and present, through its collection of books, journals, manuscripts and more. The library is open to the general public, as well as researchers, find out more about visiting here. Wellcome images is an online collection of artworks and photographs from the Wellcome Collection. 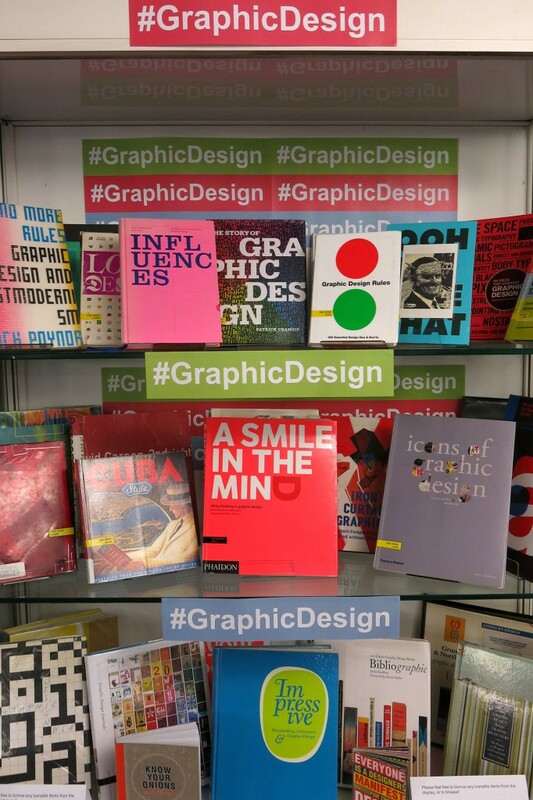 We have put together a collection of graphic design books in Aldgate library for display, but hurry as it comes down soon! This entry was posted in Exhibitions and tagged "graphic design", art, exhibitions, images, research. Bookmark the permalink.